Hi everybody and welcome. I wanted to quickly share with you a clean and simple card I created with the Seasonal Sweetheart stamp. 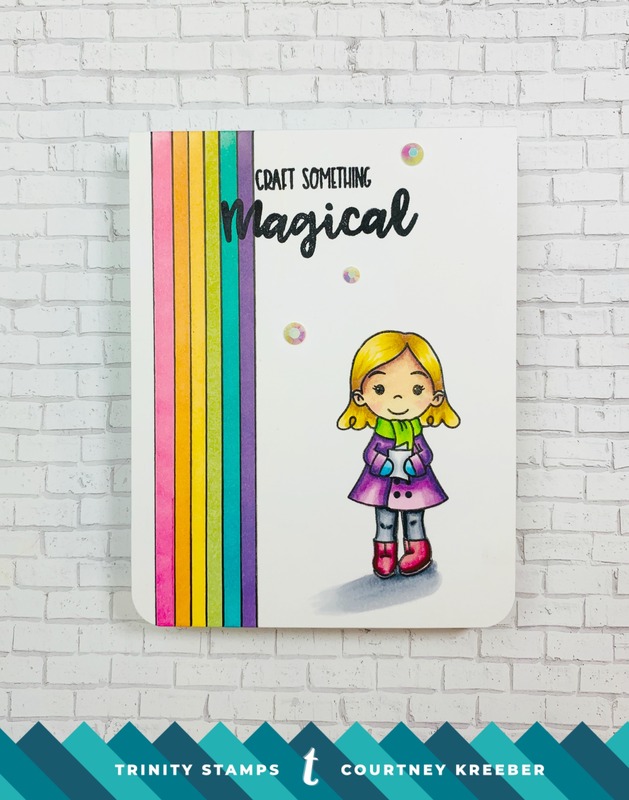 I created a rainbow with Distress Oxide Inks and colored this little cutie with Copic Markers.